Bruno Maçães is Portugal’s former European Minister, now non resident scholar of the Hudson Institute, commentator for CNN, BBC, writer for the Financial Times, Al Jazeera, The Guardian and Foreign Affairs. His previous book is The Dawn of Eurasia, On The Trial of the New World Order. Kublai asks Marco, “When you return to the West, will you repeat to your people the same tales you tell me?” “I speak and speak,” Marco says, “but the listener retains only the words he is expecting…it is not the voice that commands the story: it is the ear.” Italo Calvino, Invisible Cities quoted in Laurence Bergreen’s Marco Polo, From Venice to Xanadu (2007). On May 16th, the members of the PCFR Book Group are excited to revisit Marco Polo’s journey from China to the West and back. Unfortunately, we will be doing so only in our imaginations. Nevertheless, we’ll listen carefully to Maçães’s interpretation of China’s new Belt and Road Initiative (BRI) to understand not only China’s political and economic intentions, but the the world’s reaction to China’s new foreign policy strategy. Silk and spices may not be the largest GDP products traveling between the East and West today, but those products and services that are moving today have a far greater impact on world economies than in the past. As reported in the 3/31/19 NYT’s Italy has broken with its European and American allies to become the first member of the Group of 7 to join the Chinese One Belt Global Infrastructure Project. Greece has also become part of the Chinese orbit by giving usage of the port of Piraeus outside Athens to China. The port provides China with a vital water trade route. In 2017 Sri Lanka gave control of a major port to China in exchange for writing down the country’s debt. This appears to be only the beginning of China’s loan financing strategy. Observing news headlines today, you will have noticed that some countries are skeptical and fearful of the potential indebtedness if connected with the Chinese Belt Initiative. This skepticism was a topic of an earlier PCFR book session. PCFR member Warren Salinger has a strong interest in this topic. Warren recommended the book selection and will co- host the May 16th session. 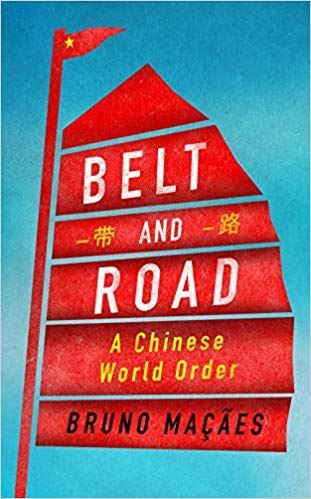 Belt and Road is only in hardcover at this time and sells for approximately $28 dollars but some used copies are available on Amazon. The Kindle edition is $10. If cost is an issue, book reviews are available and there are many articles and maps available on line. As an alert, the August book session will use Foreign Affairs articles. Possible topics for that session are nationalism, populism and foreign aid. Stay tuned!